It was my second trip to Argentina and my third trip to Patagonia. For some reason, I could not get enough. Patagonia is one of the most mystical, magical places in the world. Its remoteness (Patagonia is one of the most remote places on earth and literally at the end of the world), rugged beauty and wild extremes in climate make it like no other place on earth. Perhaps that is why so many others, like me, have fallen in love with the place. There is something otherworldly about it. My obsession with Patagonia began eight years ago when my husband and I spent ten amazing days trekking and exploring Chile’s national jewel, Torres del Paine National Park. It was a trip of a lifetime that changed my mindset and made me decide that I wanted to travel by foot as much as possible. I realized during that trip that there is truly something unique about going to the middle of nowhere, where there are no phones, no cars, no airplanes, no noise—only silence and nature. It was the first place that I ever truly felt like I was able to escape and relax, as if nothing else mattered in life except the rising and setting of the sun and the song of the birds. The landscape was so wild, so extreme and so above one’s imagination, that it felt like I was on another planet. The splendor and hardship of hiking several hours a day in sometimes extreme weather conditions made me feel at one with nature and with my own inner being. It was almost a spiritual journey. So perhaps that is why I’ve become so obsessed with Patagonia and always want to go back. November of 2009 was my second trip to Patagonia with my father. The first trip we visited the vibrant, multicultural Buenos Aires and then headed to the Patagonian Lakes District, San Carlos de Bariloche. The trip was wonderful and the beauty was supreme. However, Bariloche was not the wild, intense, extreme Patagonia that I experienced in Chile’s Torres del Paine and I ended up being slightly disappointed. Thus, we had to go back and we had to go further south, deep into the real Patagonia. This time, after much research, we opted to spend a few days in Buenos Aires (since it is such a fantastic city), do a day trip to Colonia del Sacremento in neighboring Uruguay, and then take two more flights south to the almost the end of the road: El Calafate, the heart of Argentina’s Patagonia. The flight to Buenos Aires from the States is not bad. American Airlines flys non-stop from Atlanta and the flight was a little over ten hours. One of the pleasures of flying south as opposed to east or west is that there is little change in time. Thus that dreadful jetlag is almost completely avoided, which is a huge bonus in my mind. I find jetlag to be very difficult so I was happy that this time we would hardly feel a thing. Only a two hour time change for me. We landed in Buenos Aires the next morning, feeling ready to go. I remember seeing the verdant green pastures and fields of Argentina, calling my name, from far below. It was approaching winter in Minnesota and everything at home was brown, bare, and dead. The brilliant green rolling hills below were like a magical shock to my eyes. My heart beat faster as we made our final descent. I couldn’t wait to get on the ground, feel the warm, gentle breeze on my skin and not be bogged down with a heavy winter coat and cap. The airport was exactly how I had remembered: Big, busy and chaotic. Yet this time I was prepared and the endless swarm of people holding up white signs and placards in the Arrivals Lounge did not overwhelm me. Of course it took over twenty five minutes to find the one man holding the sign that said our name, but we found it. 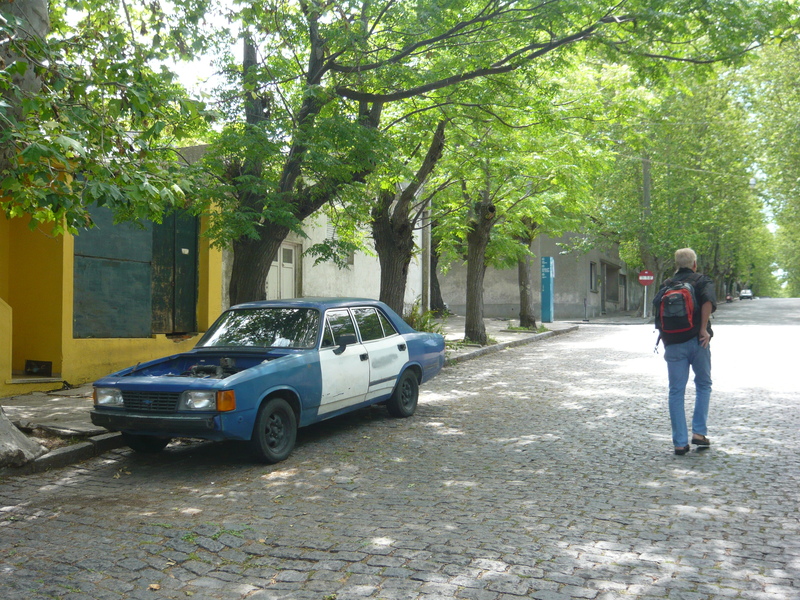 We had our driver and were on our way to our lovely hotel in Palermo Soho, a trendy, newly gentrified neighborhood on the northwestern side of Buenos Aires. Driving in Buenos Aires takes some series guts. Cars speed in and out of lanes without a skip of a beat and sometimes three lanes of traffic suddenly become five. You feel like you are going to get in a major accident almost every second of the ride and horns are used constantly. When we asked our driver how he does it, he said it takes a good pair of “white knuckles”. 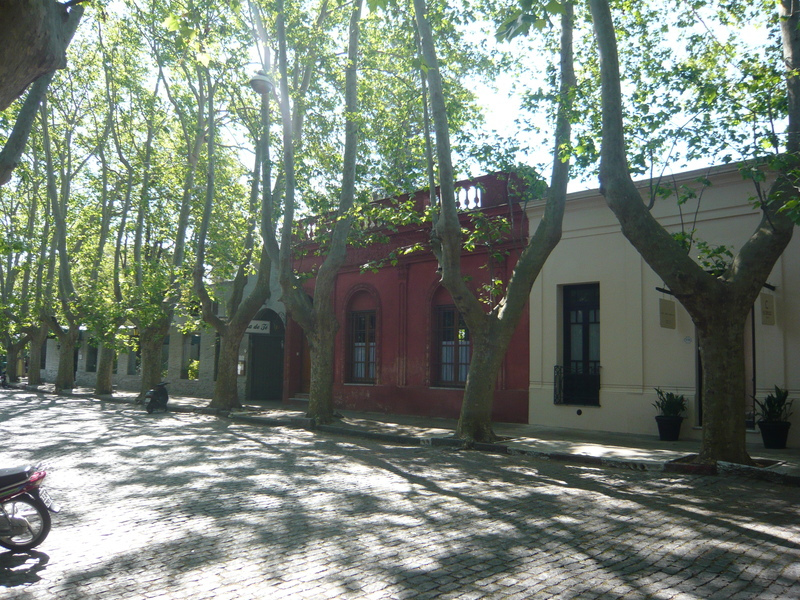 Palermo Soho is a wonderful neighborhood full of hip, boutique hotels, restaurants, designer shops and bars. The streets are tree-lined and full of outdoor cafes and bars. It is a young, urban neighborhood that is so full of energy and excitement that it is impossible not to feel alive. You can find anything you want to eat, whether it be a traditional Argentine Parrilla (grill), café food, or any kind of multicultural food possible. It was the perfect place to unwind after a long day of sightseeing and enjoy an outrageously delightful dinner and bottle of Malbec at a good price. Since it was our second time in Buenos Aires, we decided to do something different. 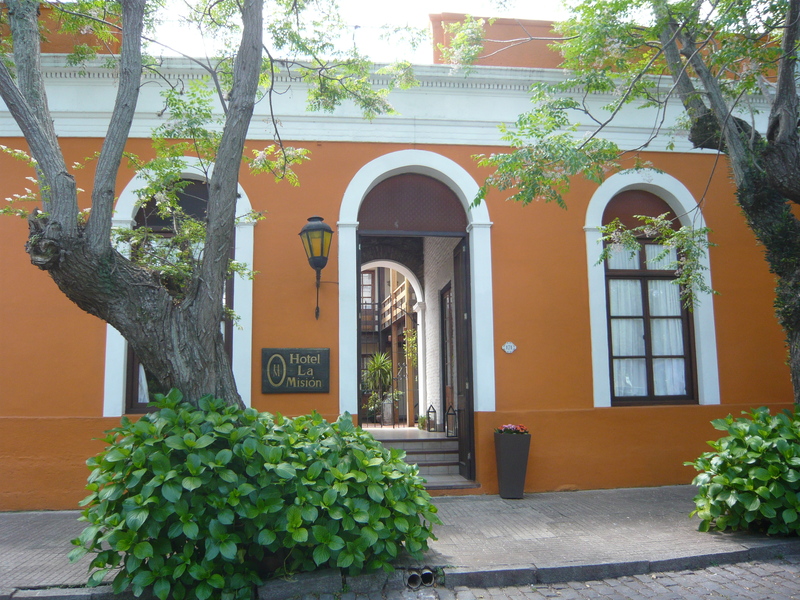 I had heard a lot of talk about neighboring Uruguay, the second smallest country in South America that has its own unique culture and is a rather unknown hidden treasure to most tourists. 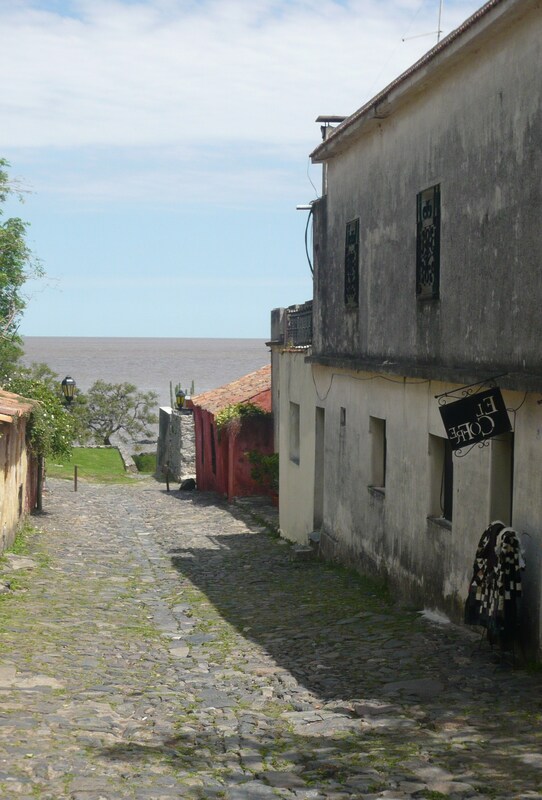 Argentina and Uruguay are divided by the brackish Rio de la Plata, and daily ferries, buses and flights are available between Buenos Aires and the three main Uruguayan tourist destinations: Colonia del Sacramento, Montevideo and Punte del Este. 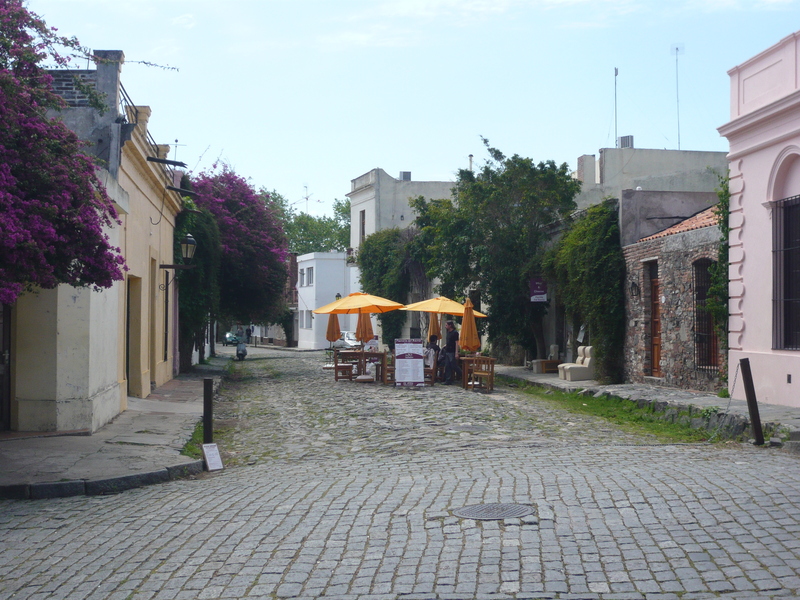 We decided to take the morning speed ferry to the tiny gem of Colonia del Sacramento, a UNESCO World Heritage site. For some reason, I just couldn’t get enough of all the old cars. Especially the broken down ones that probably have been here forever. Plenty of beautiful outdoor cafes. Yes the Uruguanian wine is delicious too. Another picture of café life. Quiet, relaxing and excellent ambiance. Felt like you were in a long-forgotten world from the past. Very removed from the rapid pace of Buenos Aires. Quite a lovely place. 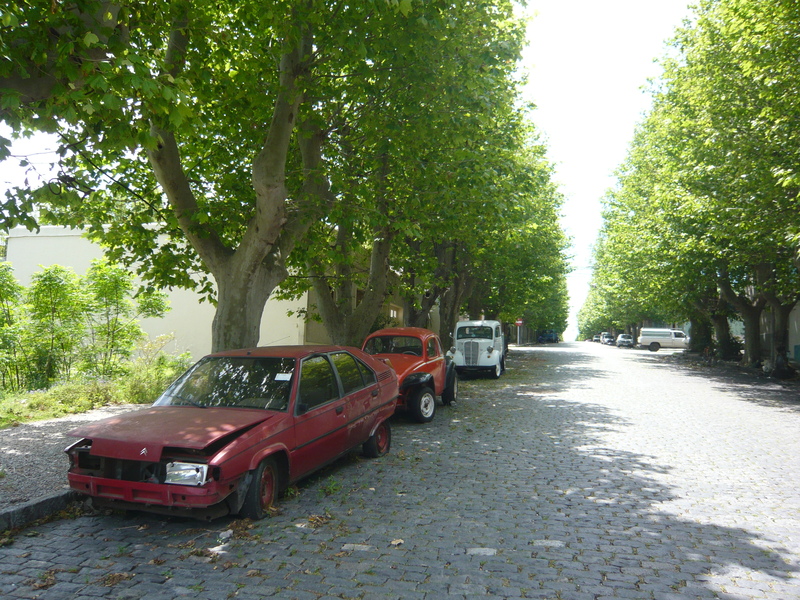 I loved Colonia del Sacramento, especially the old cars although I saw those everywhere in Uruguay. A country worth spending some time in. 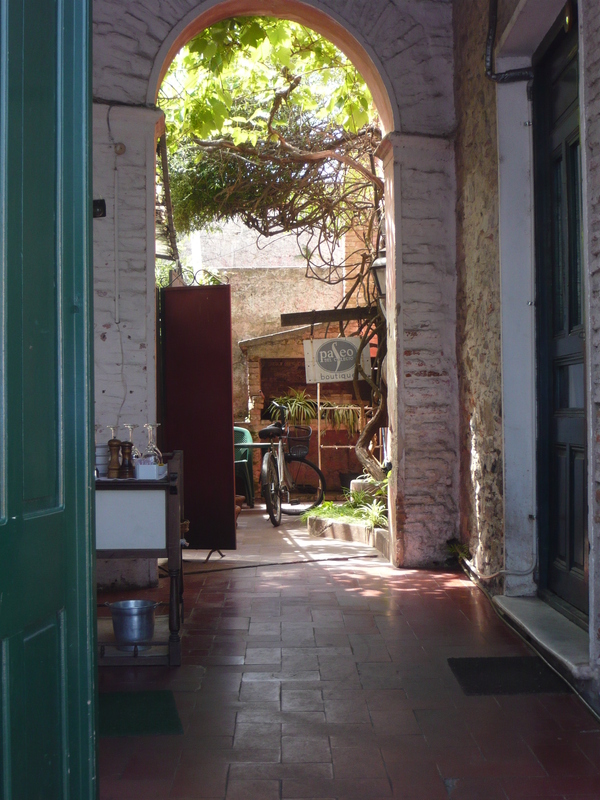 San Telmo in Buenos Aires is a cool area to hang out for a few days too. When you return to the Argentina, do not hesitate to do contact. Very nice! Are you doing this as mission work, all of your traveling? Inspiring to hear a Minnesota stay-at-home mom complete all this!